Compliments Salon & Spa – Refresh. Relax. Reward. 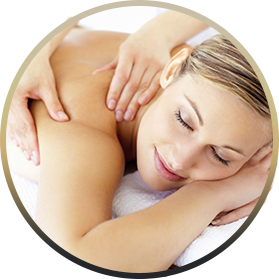 Schedule a relaxing and therapeutic massage with our professional massage therapist to release muscle tension or regain your range of motion. You’ll be the envy of all! 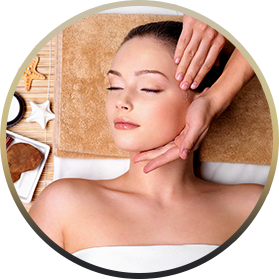 Our Spa services are widely talked about and considered some of the best ever. 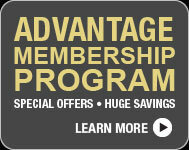 Our Estheticians are some of the industry’s most skilled professionals. What if the Fitting Room was where everything Fit? Non-Invasive Body Contouring. An estimated 85%-98% of women over the age of 16 have cellulite,..
Instantly as you enter Compliments At A Hilton you will quickly understand why it is the most requested and sought after Phoenix salon and day spa. Immediately greeted by a sense of luxury and peace, you will feel transported to a world where tranquility, serenity and pampering is the first amendment of their constitution. Compliments at A Hilton Salon and Spa is a full service hair & nail salon and day spa for the entire family. We offer expert hair cuts, styling, color, straightening, Keratin Straightening system, thermal styling, updos, makeup, Bridal, nail manicures, pedicures, facials, peels, microdermabrasion and cold light treatments, Swedish/deep tissue/hot stone massage and more! 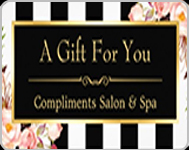 “This is a great place for facials, nails, haircuts etc. They are very professional and do a wonderful job. Select the service you want we have professionals so dont worry about our salon give the best way and suggest many ways to maintain your body skin as well as health.